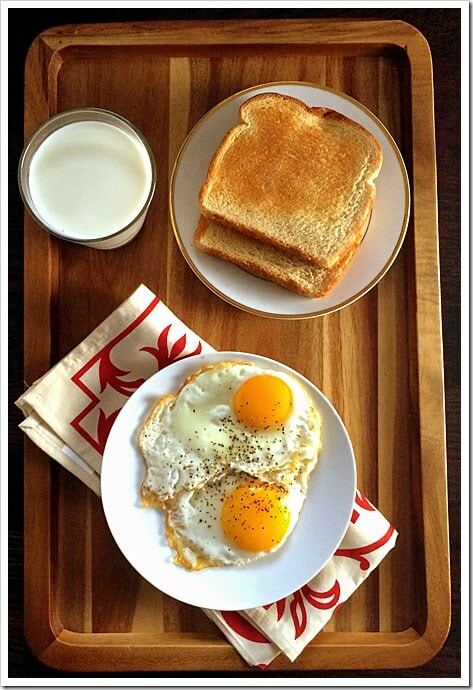 Half fried eggs – This lovely breakfast comes together in about 5 minutes and is a perfect way to start your day. Rise and Shine! This is my go-to breakfast. It instantly makes me happy, fills my tummy and marks the start of a great day. Best part, it is so easy to make. You can’t go wrong with this and it takes like all of 5 minutes to make. 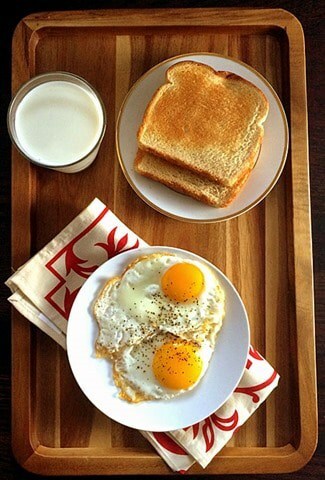 Now you don’t have a reason to skip breakfast. If you don’t like the runny center, poke the yolk so that it starts to trickle out and spread and cook it for another 2-3 minutes. Serve hot with toasted bread. 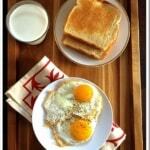 Half fried eggs - This lovely breakfast comes together in about 5 minutes and is a perfect way to start your day. Place a pan on medium heat and add a teaspoon of oil. Crack the eggs into a cup and gently add the eggs to the pan. Add salt and pepper.